The Rotana hostel established in the end 2006 it's very nice place for students, Backpackers and tourist groups located in talaat Harb street centre of downtown Cairo. 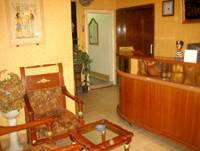 For Single rooms FREE airport pick up from Cairo International Airport to the hotel, one way only. that if u will stay of 3 nights (send to us flight details). All our rooms are spacious, clean and comfortable. 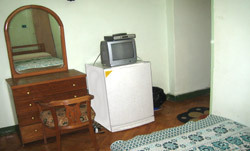 They are air-conditioned, have a private or shared bathroom with hot water, satellite television, and a telephone. Cairo international airport is 20 minutes drive away and we can pick up our guests. Guests can catch the bus from the airport to Dowen towen (tahrir sq.) and after that we are just a 5 minute walk to Talaat Harb Street.